3.14.19 - Pamela mcneill's new CD ‘solitary’ released! 3.12.19 - Tune into @wsmradio @nashvilletoday on Wed, 3/13/19 @ 4:00 PM (CT)! Pamela will be doing a LIVE interview on “Nashville Today” to chat about the upcoming release of her new CD “Solitary”! 1.14.19 - We are excited to announce that Pamela’s new CD “Solitary” will be released this March 14, 2019! You are invited to join Pamela and a band of some of Nashville’s absolute finest musicians debuting songs from her new CD for the official CD Release concert/party at City Winery IN NASHVILLE! The concert is FREE and includes light hors d’oeuvres. There is a CASH bar as well. Doors are at 5:30pm and the concert begins at 6:30pm with a meet and greet immediately following the show. City Winery is one of THE best places to play in Nashville and is known for incredible sound. It’s a beautiful venue and Pamela is so excited to play her songs there! 4.23.18 - TUNE IN TO WCCO TV, CHANNEL 4 IN THE TWIN CITIES METRO AND BEYOND TO SEE PAMELA TUESDAY MORNING, APRIL 24 ON THE "MID MORNING" SHOW. SHE WILL BE TALKING ABOUT HER NEW SONG, "THE BIGGER PICTURE." SET YOUR DVR'S OR WATCH LIVE. SHE WILL BE ON BETWEEN 9:30am and 9:45am. 4.22.18 - Pamela will be a guest on the wonderful Jearlyn Steele's show "Center Stage" tonight at 9:50pm to talk about her new song, "The Bigger Picture" and the inspiration behind it. Tune in to WCCO 830am to listen! Lori & Julia - The Drivetime Diva's! 4.1.18 - PAMELA WORKING ON NEW ALBUM IN NASHVILLE. pamela has been recording new songs in Nashville with some of Nashville's finest musicians. A new release is being planned for this summer. With the Phenomenal Wanda Vick - (Fiddle, Mandolin, Dobro and Banjo). At the video shoot for 'The Bigger Picture" with Singer, Guitar player and Songwriter Bart Walker - former member of "The Waterboys." Bart sang backing vocals on some of Pamela's songs. 9.1.17 - Pamela to make her debut at the legendary Bluebird Cafe in Nashville, TN. pamela will be performing "In the Round" with Grammy award winning songwriter Bobby E. Boyd ("Bless the Broken Road"), Roxie Dean and Sam Mullins, Friday, September 22, 2017. This show is SOLD OUT! 11.1.16 - "LOVE IS A ROSE - TRIBUTE TO LINDA RONSTADT" to perform at the LAKEVILLE ARTS CENTER - this Friday night - November 4, 2016. Check out this new promo video for this wonderful, passionate tribute to one of the greatest female singers of our generation! 6.2.16 - Pamela to play the Paramount Theater in St. Cloud, MN - Saturday, November 5, 2016. Pamela will be performing her original songs center stage on a grand piano at the Historic 750 seat Paramount Theater in downtown St. Cloud, MN. This is a night not to be missed! The concert will begin at 7:30PM. 2.5.16 - Pamela and George Maurer are bringing "Stripped Down" to Crossings At carnegie, sunday, March 6, 2016 in zumbrota, Mn. Pianist-composer Maurer will host singer-songwriter McNeill on a naked stage as he accompanies McNeill and interviews her about her life and multifaceted musical career. It’s just two musicians and a piano revealing McNeill’s inspirations and memorable moments through original songs and inspired covers. 9.16.14 - "HURTSVILLE, USA" - is HERE!!! Thanks to all who helped Pamela SELL-OUT her CD release concert last Tuesday night at Pioneer Place Theater in St. Cloud, MN! It was truly a memorable evening. Check out this great interview with Pamela in the "Up Next" entertainment section of the St. Cloud Times. She talks a lot about her process of songwriting and her new CD, "Hurtsville, USA." Pamela will be singing James Bond themes with the St. Cloud Symphony on Friday night, September 19 at St. Cloud State University's Ritsche Auditorium. The concert begins at 7:30 pm. Tickets are $5. For more information go to the St. Cloud Symphony's website. Come on out and support these fantastic musicians! SECOND "Hurtsville, USA" CD release concert added! Pamela's "Hurtsville, USA" CD release concert at The Chanhassen Dinner Theater on September 6 was a huge success! Thanks to all who came out to show their support and celebrate with her and her band. Here are a few shots from that night. From L to R: Jay Graf, Aimee Lee, Boyd Lee, Pamela McNeill, Mary Jane Alm, Dugan McNeill Photo by Donald Jay Olson. NEW Lyric video for "The Chance" from "Hurtsville, USA" released today! Thanks to Rick Sellers for creating this beautiful video that captures the heartfelt sentiment of Pamela's song. To buy tickets for Pamela's CD release concert on Saturday, September 6, go to: www.chanhassendt.com You'll see an ad for the show at the bottom of the main page. Click on the photo and it will take you to the page where you can order your tickets online. You can also call the box office at: 952-934-1525 or 800-362-3515. Tickets are $20 and are available now. This show is all-ages. Concert begins at 8PM. Here is the first Promo Preview Video of Pamela's new album! We hope you enjoy it. Track Listing for "HURTSVILLE, USA" released. 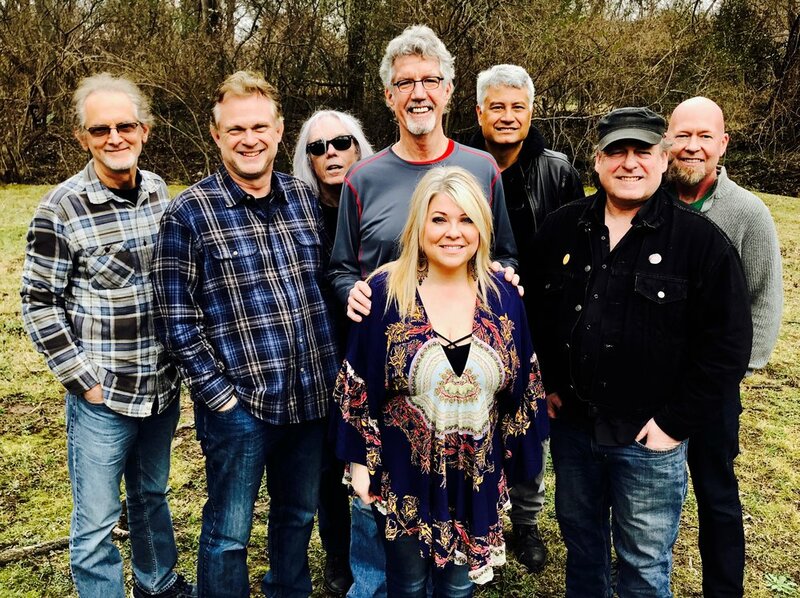 One of the bands Pamela sings with, Fabulous Armadillos, rocked the Main Stage at Moondance Jam in Walker, MN again this year. Moondance Jam is Minnesota's biggest outdoor Rock festival. It was another spectacular night. Here's a photo taken during their set - playing for roughly 15,000 people! 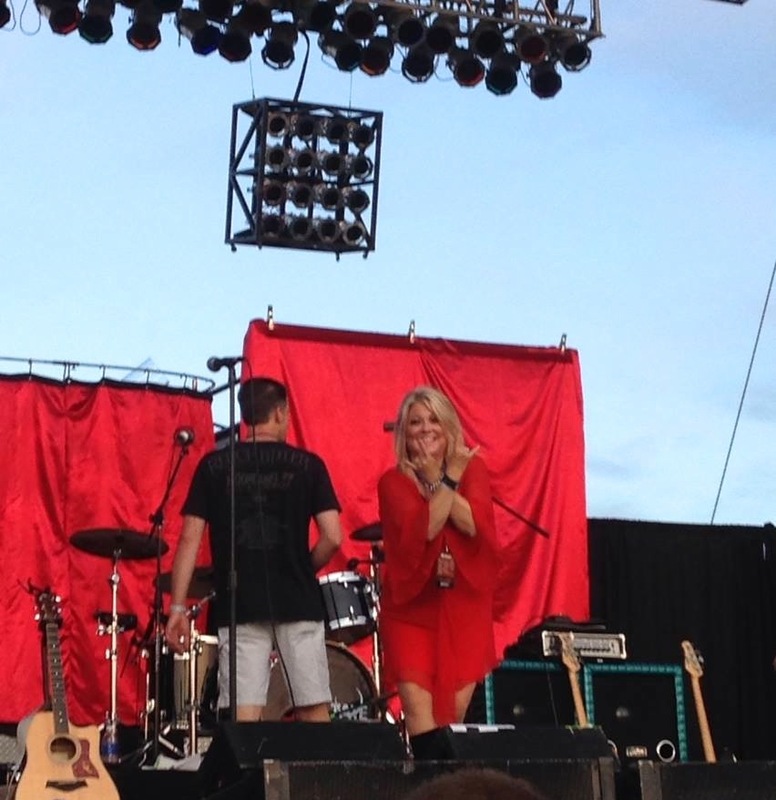 And here's Pamela getting ready to rock the Moondance Jam crowd! Pamela's had a busy July so far. Check out this video she took singing "Landslide" during her "Rumours and Dreams - Fleetwood Mac Tribute" show to 20,000 people at "Joetown Rocks" in St. Joseph, MN on July 3! WELCOME to the new website! THANK YOU for stopping by! We'll be adding new content here and there. Please feel free to come back often and check out what's new as Pamela gets ready to release her brand new CD in September! The SHOWS page as well as each band listed in the BANDS page will also have upcoming show information listed and we promise to keep it updated. So - take a look around and share this site with your friends. And, as always "Carry On!" Tickets for Pamela's "HURTSVILLE, USA" CD Release Concerts at The Chanhassen Dinner Theater on September 6 & 7 are now on sale. Go to: http://www.chanhassentheatres.com and click on the BUY TICKETS icon. Read the new article on Pamela in the Rochester Post Bulletin's Entertainment section!